A couple of weeks ago, The Chronicle of Higher Education reported that the University of California Berkeley will no longer post video recordings of its lectures to YouTube and iTunesU. The decision was framed in terms of “budget challenges” with a note that, as a partner with edX, Berkeley instead intends to pursue “open education” via MOOCs. (They’re “more effective,” the article argues.) The university will continue to record its classes as it currently does, but starting in the fall, that content will only be available to students on campus. UC Berkeley has uploaded thousands of hours of videos and audio to YouTube and iTunesU, but its efforts to share lecture materials openly on the Internet predate both of those. Indeed, I’d argue that UC Berkeley played an important role in the development and legitimization of educational webcasting and podcasting, influencing the efforts of Google and Apple in supporting and distributing that very content. 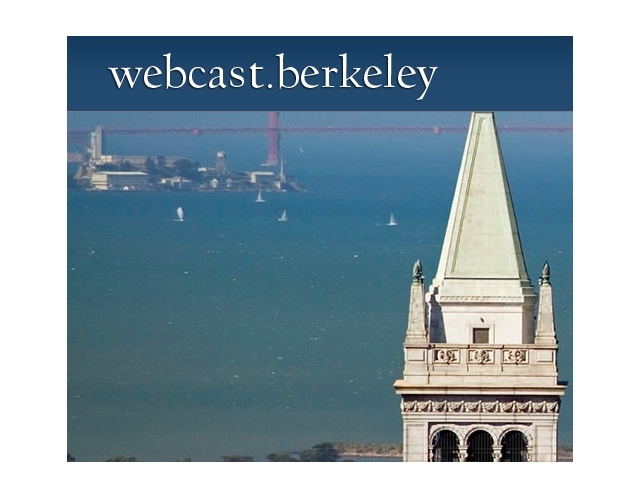 The Berkeley Internet Broadcasting System (BIBS) offers live webcasts and on-demand replay of class lectures using streaming media (i.e., audio, video, and presentation material) on the Internet. We began Internet webcasting of the weekly Berkeley Multimedia, Interfaces, and Graphics (MIG) Seminar in January 1995. After webcasting this seminar for several years and experimenting with different technologies, lecture webcasting of regularly scheduled classes began in Spring 1999. As more experience was gained with this technology, and in response to student and faculty demand, the system was scaled up each semester. Fourteen and fifteen classes were webcast in the Fall 2000 and Spring 20001 semesters, respectively, including several large introductory courses (e.g., Biology 1B, Chemistry 1A, Classics 28, Computer Science 61A and 61B, IDS 110, Nutrition Sciences 10, and Physics 8A and 8B) and small upper division and graduate engineering courses. The recordings were streamed online, accessible via a program guide that showed the entire course schedule. Lectures were available live or on-demand. 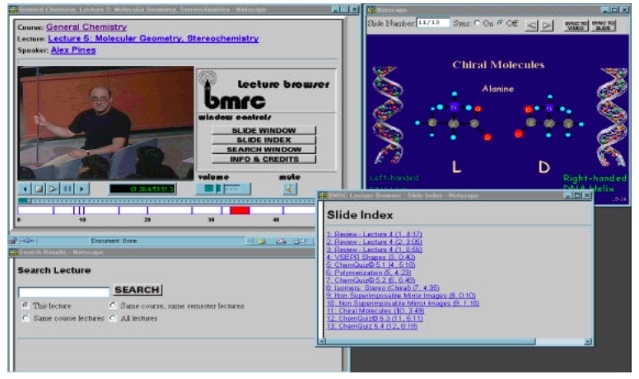 Clicking on a link in the program guide launched a video player, and the Berkeley Multimedia Research Center also developed software that allowed lectures to be synchronized with other presentation materials from class (PowerPoint slides, for example). BIBS allows a start and end time to be entered for each lecture because the actual time the speaker begins and ends a lecture can vary. The lecture replay starts and ends at the times specified rather than at the beginning and end of the captured material so that when a student asks to watch a lecture, it starts when the speaker begins the class. The BIBS system was eventually rebranded to webcast.berkeley, and the number of courses that were recorded and shared online continued to expand. In 2005, Obadiah Greenberg (disclosure: my friend), who’d been hired in 2000 to manage the BIBS program, began attending podcasting meetups in San Francisco and experimenting with streaming audio of classes on webcast.berkeley. 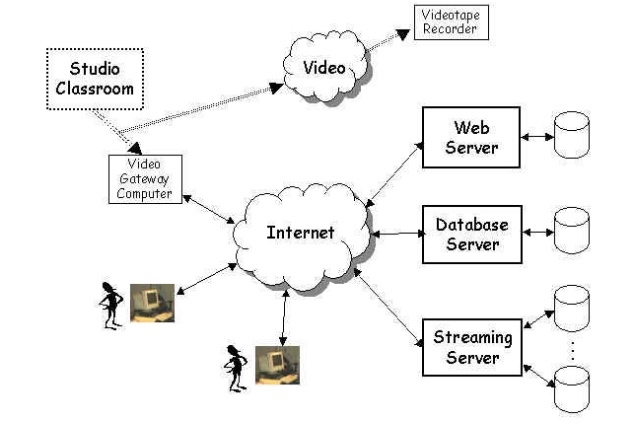 During the 2005–2006 Winter Break, Barix audio streaming devices were installed in classrooms, which meant that many more courses could have their materials recorded and broadcast. Expanding the automated video-streaming infrastructure, webcast.berkeley was rebuilt to automate audio capture and streaming of courses and to distribute these recordings as podcasts. When the spring term started in January 2006, UC Berkeley launched a fully automated system to provide open access course podcasts. Berkeley wasn’t the first US university to make course content openly available online, of course. MIT famously kicked off its open courseware initiative in 2001, posting syllabi and course materials on the Web. Nor was Berkeley the first to experiment with recording lecture content at an institutional level. Duke University (also famously) gave its incoming freshmen 20 GB Apple iPods and Belkin voice recorders in the fall of 2004, encouraging students to record their courses for themselves. And Stanford University announced at an alumni event in the fall of 2005 its plans to make “Stanford-related audio content,” including materials restricted solely to Stanford students and podcasts from football games, available through iTunes. In September 2006, the university announced “Berkeley on Google Video.” And this was a genuine “first” – the first school to have its own page on the Google Video website. Less than two weeks later, it’s worth noting, Google signaled its interest in the rapidly growing area of online video content by acquiring a little startup called YouTube. (By the end of the year, incidentally, Obadiah Greenberg was also working at Google – first for Google Video and then for YouTube, where he later helped create YouTubeEDU.) Berkeley was also the first university to have a branded channel on YouTube and the first to offer serialized courses there. 20 years of history, and a long-running effort to make UC Berkeley content available online to the public. And now? Currently, ETS provides Webcast Classroom Capture as a common-good service in over 50 of our general assignment classrooms. For the past 20 years, recorded lecture videos have been available to students as well as the public. In more recent years the Webcast Classroom Capture program has broadened the window of access into UC Berkeley's intellectual riches through distribution partnerships with YouTube and iTunes U. Each year we capture and publish nearly 4,500 lecture videos and each video requires an average of 15 minutes of staff time to prepare for public distribution. In consideration of the current state of our budget, we have chosen to reduce spending by no longer making Webcast Classroom Capture videos available to the public. By transitioning to this student-only lecture capture service capture we will continue to provide a valuable study resource to our students and garner significant cost savings. Resources will be reallocated toward mission-critical activities that support teaching, learning, and research at UC Berkeley. The recording infrastructure stays in place, but the lecture content is now officially proprietary and closed to the public. And according to The Chronicle, UC Berkeley will save $300,000 per year by not publishing its lecture content publicly on iTunes or YouTube. For what it’s worth, the cost of developing a MOOC? Anywhere between $38,980 to $325,330 per course. And the history and the recognition of the contributions made by those who built and expanded BIBS? The commitment as a public university to openness? I hope there's a record somewhere, right?